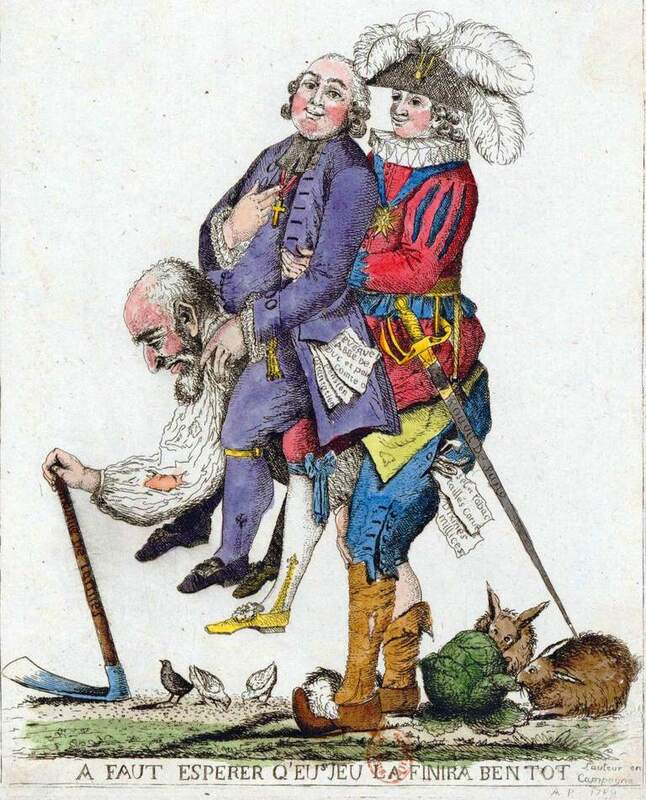 The law’s “brooding presence” was very real to political actors in early modern France. Old Regime France, David Bell has observed, was a “judicial society” where “the experiences of the law courts were central to the way in which political action was conceptualized.” Theorists distinguished the king’s “absolute power” from the rule of a tyrant by emphasizing that monarchs governed according to the law and the public good, not their personal will. “The best kind of Commonweal,” Jean Bodin wrote in his epochal Six Books of a Commonweale (1576), “is that wherein the sovereign holdeth what concerneth his majesty, the Senate maintaineth the authority thereof, the magistrates execute their power, and justice hath her ordinary course.” From local courts to the royal council, law provided the principal linguistic, cultural, and procedural framework through which individuals and corporations articulated, contested, and resolved disputes over the allocation of resources, status, authority, and power, even at the height of the so-called “administrative monarchy” of the late seventeenth and eighteenth centuries. Indeed, if we accept Keith Michael Baker’s definition of political culture as “the set of discourses or symbolic practices” through which individuals and groups “articulate, negotiate, implement and enforce the competing claims they make upon one another and upon the whole,” then law was clearly a central element of early modern French political culture. It was the law whichconstitut[ed] the meanings of the terms in which these claims [were] framed, the nature of the contexts to which they pertain[ed], and the authority of the principles according to which they [were] made binding. It shap[ed] the constitutions and powers of the agencies and procedures by which contestations [were] resolved, competing claims authoritatively adjudicated, and binding decisions enforced. While David Parker and others have emphasized the “all-pervasive legalism” of Old Regime society, historians still struggle to understand how the law shaped politics and governance in early modern France. Indeed, it has been over fifteen years since Parker pointed out our need to better understand how French law and the legal system worked in practice. While a number of recent studies have helped to shed much needed light on the subject, we are still a long way from fully comprehending why the legal institutions, legal processes, and the very language and concepts of the law itself were so pervasive in early modern French government, politics, and society. Most studies of early modern France tend to downplay the law’s role in understanding the state’s operations. 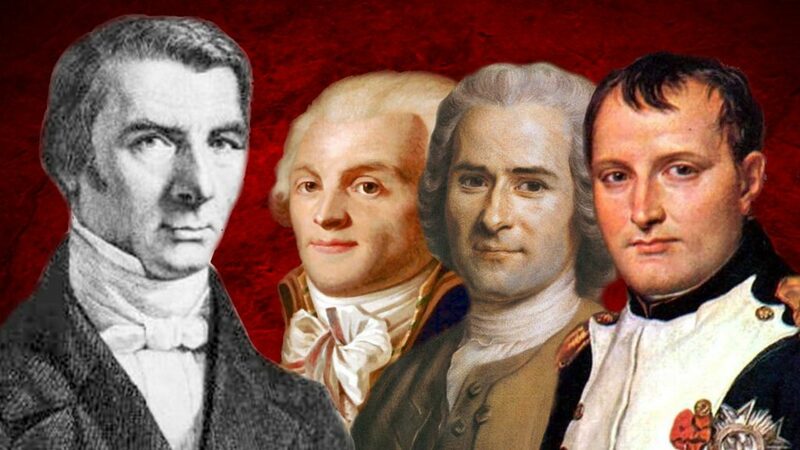 Instead, they focus on patronage networks and personal ties as determining the flows of power and authority among the panoply of local, regional, and national authorities that collectively made up the French state. While a number of recent studies have argued that clientage ties and networks of informal personal influence became more impersonal, administrative, and bureaucratic over time, historians of the Old Regime still tend to minimize the role of law: its procedures, institutions, and concepts. Specialists of the early modern period, then, find themselves faced with something of a paradox. On the one hand, the law pervaded politics and governance. On the other hand, it seems to have been of limited importance in regulating and determining the actual flows and operations of power, especially when considered next to the influence wielded by powerful patrons and the consequences of their pursuits of individual and familial interests. This paradox may reflect, at least in part, a modern tendency to see the law and networks of patronage and influence as somehow antithetical to, or at least in significant tension with, each other. When faced with the cacophony of legal arguments and the bewildering array of legal institutions and procedures which early modern Frenchmen routinely used in the course of ordinary politics and governance, we have tended to reduce the law to a façade, a form of rhetoric or a strategy that masked the pursuit of other interests and hid the workings of other forms of power, authority, and influence. It is well known that the Old Regime legal system was indeed far from autonomous in the modern, Weberian sense. Judges, parties, and institutions were subjected to the tremendous pressure and influence wielded by high-ranking nobles, ministers, and their kinship and clientage networks, as well as other external forces. Even so, this hardly means that law was irrelevant to the ways political actors thought about and contested the distribution of power and resources in early modern France. If we look at law not as set of norms or regulations, but as a collection of principles and procedures that could be used for contesting and resolving disputes, then this opposition disappears. The law, in other words, worked in tandem with clientage networks and other informal channels of influence that have drawn so much attention from scholars. As William Beik noted in his study on Languedoc, Despite the role of personal interventions by patrons in the process of getting one’s way in political matters, it was still necessary to pursue a problem through institutional channels, using “legal-procedural” tactics and style. In a society where most rights were traditional and where the many levels of the judicial apparatus were far more highly developed than the institutions which created or enforced legislation, it is not surprising that the essence of local government was the pursuit of large numbers of cases in the courts. For the most part, historians have highlighted “the role of personal interventions by patrons in the process of getting one’s way in political matters” while overlooking the second part of Beik’s equation: the pursuit of “problems through institutional channels, using ‘legal-procedural’ tactics and style.” We need to restore the second half of Beik’s observation to its proper place in our understanding of the early modern state’s operations; we must rethink how we approach the study of the law under the Old Regime. In so doing, we can begin to see how it operated alongside and in tandem with the patronage networks that have received so much scholarly attention. The rule of law and patronage were not antithetical; they were interdependent. Patronage helped make the Old Regime’s cumbersome and unwieldy legal system function more effectively, often by brokering or mediating informal settlements that were likely to be more effective than judgments rendered by distant tribunals with few coercive tools at their disposal. Law helped to shape the terms of disputes, to reduce them to a set of issues and principles that could be argued over and resolved. Finally, the law conferred legitimacy not only on the intervention of patrons, but also on the resolution of the disputes at hand, however achieved. The contents, procedures, and institutional settings of early modern French law should thus be understood primarily as a cultural system. Legal professionals were “experts at managing social and legal constructs” and at creating meaning and establishing at least a degree of certainty in the face of conflicting constructions of social reality. Both Thomas Kuehn and Pierre Bourdieu have highlighted the fact that law is primarily a symbolic means for managing disputes. For Bourdieu, the “judicial field” acts by channeling conflicts into an environment where experts with recognized technical competence mobilize (often with unequal degrees of success) appropriate texts, arguments, and tactics in an effort to secure a peaceful resolution that favors their party. “Law is multi-faceted in relation to society,” J. A. Crook has observed in his study of advocacy in ancient Rome. It consists on the one hand of “a set of rules to be obeyed, made by legislators and refined, interpreted, codified and disputed about by jurisprudents.” At the same time, however, “it is also a mechanism for allowing people to quarrel without blows, and so for argument (perhaps with skilled assistance) between people; at any particular moment the life of the law is contained in its litigation.” This is a useful way to understand how early modern French law functioned in practice. Law under the Old Regime did not provide clear-cut rules and principles; rather it provided a variety of concepts, languages, and procedures “by which culture and community [were] established, maintained, and transformed.” Indeed, it was the law’s very flexibility and adaptability – the fact that it could be and frequently was used by social actors from great noble families to individual peasants – and its capacity to justify all sorts of actions, including outright opposition to state authorities, that ensured its widespread adoption and influence. Little wonder, then, that Alexis de Tocqueville would later describe the legal system as the last rampart of French liberty under the Old Regime. Reducing litigation to a mere façade for the operation of clientage networks, however, downplays the “all-pervasive legalism” of Old Regime society and minimizes the importance that contemporaries placed on compelling legal arguments and effective procedural strategies. Early modern law courts were one part of a much larger system of dispute resolution that incorporated mediators, arbitrators, and other parties who brokered, negotiated, or otherwise helped to bring about informal settlements. Litigation did not represent an abandonment of less formal means of dispute resolution; rather it was inextricably bound up with them. It is well known, for instance, that the vast majority of lawsuits were abandoned before trial. Parties usually went to court not to win definitive judgments, which were often difficult to obtain and costly to execute, but rather to force their adversaries to negotiate or seek another type of informal settlement, such as mediation or arbitration. Nonetheless, the very fact of going to court, or even the mere desire to avoid litigation, compelled parties to articulate their grievances and define their claims using concepts and norms derived from the world of the law. “Law’s brooding presence, as an institutional mechanism and a body of rules” helped shape disputes, according to Kuehn, even when formal litigation was only “something to be avoided.” The potential that a dispute could escalate into litigation forced parties to distill their demands into abstract claims of rights and principles supported by reference to appropriate texts and authorities. These norms, in turn, “provided ranges of discourse within which a comprehensible picture might be constructed, either by two parties directly negotiating or by a third party.” Far from being a mere façade for the “real” exercise of power “behind the scenes,” the law was central to the mundane business of Old Regime governance: the resolution of the endemic jurisdictional and political conflicts that were the inevitable product of the overlapping authorities and poorly-defined jurisdictions that comprised the early modern French state. 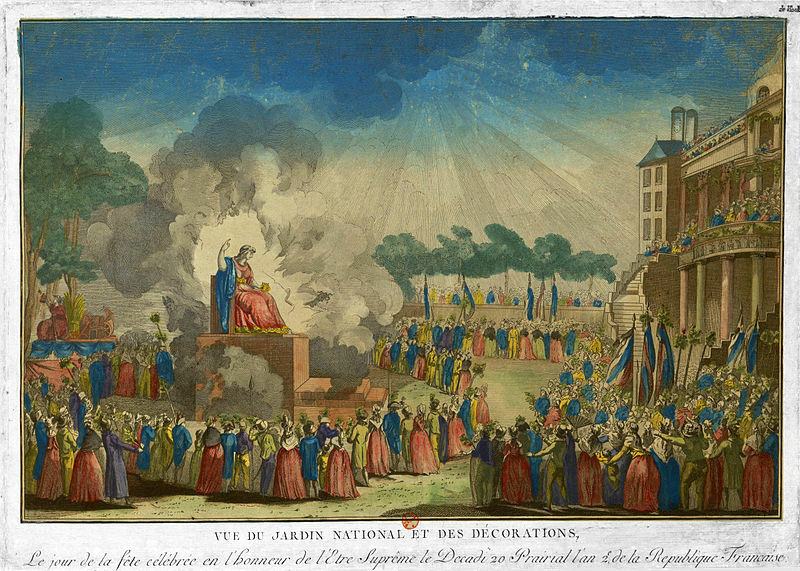 The complex interplay between politics, patronage, and the “rule of law” under the Old Regime can be seen in a series of rather commonplace jurisdictional disputes between the municipal government (mairie) of Dijon and the city’s royal bailliage court during the first half of the seventeenth century. The extent of the municipality’s legal jurisdictions and police powers made conflict with other local institutions such as the bailliage almost routine during this period. The city government’s extensive privileges, re-confirmed by Louis XIII in 1610 and again by Louis XIV in 1643, gave it jurisdiction over “all common places, abandoned goods (épaves), confiscations, the dating of tutorships and curatorships, the drawing up of inventories of the belongings of those who die in the said city and its suburbs (faubourgs), regardless of their qualities and conditions,” as well as a host of other powers. The municipal government, in other words, could claim a monopoly on the affixing of seals in the homes of the recently deceased, the preparation of post-mortem inventories, the conduct of judicial sales, and many other routine legal activities. As early as 1605, however, the municipality’s claims to jurisdictions over the affixing of seals, the preparation of post-mortem inventories, and other such matters were regularly contested by Dijon’s bailliage, one of the city government’s main local rivals. A municipal ordinance of 1611, for instance, ordered parish bell-ringers not to sound the bells announcing a death prior to informing the mayor or municipal syndic in order to lessen the chance that the city’s officers would be beaten to the punch by officers from the royal tribunal. By 1615, the conflict had been boiled down to the bailliage‘s claim that, as a royal court, it alone had the right to draw up inventories, affix seals, and conduct judicial sales in houses of nobles. It also claimed the authority to name tutors and to audit accounts of the city’s patrimonial revenues. The result was a torrent of litigation between the two corporations. In a 1627 pleading before the parlement, for instance, the barrister Pierre Guillaume, a member of the city council, noted that more than thirty suits between the municipality and the bailliage had been filed at the parlement or the royal council in the past three or four years alone. Indeed, litigation over the bailliage‘s latest “encroachments” on the city’s jurisdictions had become so routine that by this time the municipality simply added new cases as they occurred to its pending lawsuits. These two cases capture the tortured history of litigation between Dijon’s municipal government and bailliage in the early seventeenth century, a history that was altogether common in cities across France during this period. A compromise between the two bodies in December 1634 appeared to have brought this protracted jurisdictional conflict to an end. However, as Charles Bertucat explains, this compromise quickly collapsed after the death of the bailliage‘s royal solicitor (procureur du roi). The dispute thus dragged on until June 1644, when the parlement of Burgundy finally issued a ruling (arrêt) that settled the conflict, at least for a generation or so. 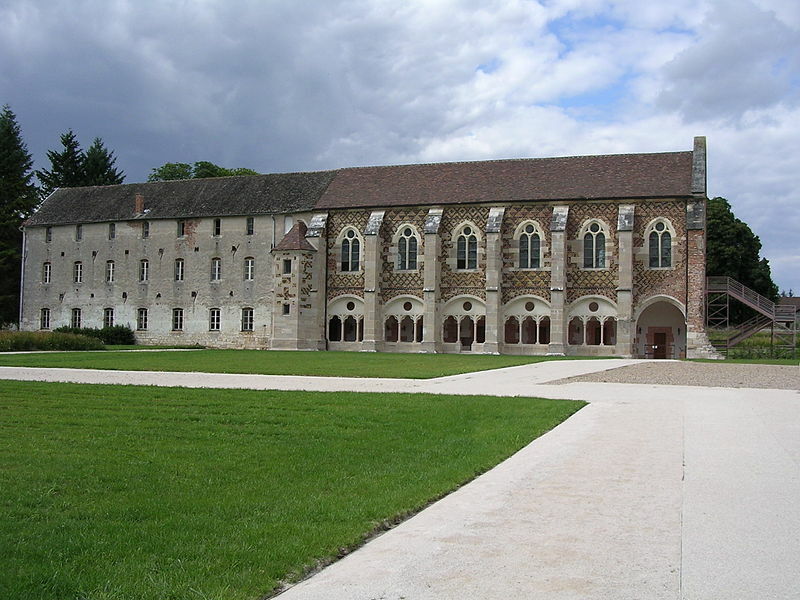 The bailliage received authority over nobles, those living in the old ducal palace, the official home of Burgundy’s royal governors, and the Houses of Cîteaux and St. Esprit following the death of their abbots or rectors. In all other instances, the municipality was to retain jurisdiction over the affixing of seals, the preparation of post-mortem inventories, the naming of tutors, and other similar matters. Parlement also denied the bailliage‘s claims that it had the right to audit the accounts of the city’s patrimonial revenues or to hear appeals concerning municipal deliberations or elections. At first glance, then, the role of the law and legal institutions in resolving these jurisdiction disputes between Dijon’s municipal government and bailliage would appear to have been rather straightforward. After several decades of litigation, legal arguments about the special status of nobles and the city’s privileges and “immemorial possession,” and after failed attempts to negotiate a peaceful settlement, parlement finally intervened and settled the matter. As historians of early modern France are well aware, however, things were rarely this simple. Indeed, another look at these two cases and the eventual resolution of these conflicts shows that Burgundy’s governor, the Prince of Condé, played a significant behind-the-scenes role in ending the disputes between the municipality and the bailliage. Two months after the municipality complained about the bailliage‘s affixing of seals after the death of Charles Fevret’s wife, for instance, a municipal deliberation shows that the city council asked the prince to mediate between the two bodies. By the time of Richelieu’s death five years later, it appears as though Burgundy’s governor must have made meaningful progress in getting the two sides to come to an agreement. Indeed, one of the reasons the municipal government appeared so upset at the royal court’s actions after the Cardinal’s death was that it believed that the royal magistrates had violated an agreement to have “the said disputes judged and terminated by Monseigneur le Prince, who wanted jurisdiction (a voulu prendre cognoissance) over them.” In this case, in particular, we can see how the municipality decided to pursue the matter on parallel tracks: formal litigation and informal arbitration or mediation. While adding its complaint to others pending before the royal council, it resolved to send it to the Prince as well in the hopes that he would rule on it. Once again, Condé’s exact role remains unclear, but it was clearly significant. Several months later, the municipality and bailliage began a series of intense negotiations designed to resolve these jurisdictional issues. Thus, parlement‘s ruling of 1644 was less a judgment that decided decades of litigation in favor of one party than it was the ratification of an agreement that had been worked out informally between the municipality and the bailliage through the mediation of the Prince of Condé. Neither the parlement of Burgundy nor the royal council ultimately resolved the many lawsuits between the municipality and the bailliage over the affixing of seals, the preparation of inventories, and various other jurisdictions. Indeed, it would be easy for us to dismiss these conflicts as just another example of the endemic litigation of the early seventeenth century, which Orest Ranum has described as “waves in the sea, rising and falling with each new generation of officials and judges.” At first glance, the lawsuits seem useless and inconclusive. It was only the influence and stature of the Prince of Condé that finally prompted the two bodies to work out their disagreements. A closer look, however, suggests that we should not be so quick to dismiss the importance, even the necessity, of the law to both the dispute between the municipality and the bailliage and its ultimate resolution. Courts of law and their procedures provided an institutional framework that gave shape to the conflict, channeling it away from violent confrontation and enabling the two bodies to continue functioning while they awaited the resolution of their dispute. Whatever the bodies’ real motives, legal concepts and legal language defined the terms of the dispute and limited the range of solutions acceptable to the municipal government and the bailliage, as well as to those who would seek to broker or to impose a resolution. Condé, it is true, ultimately helped to bring about a peaceful settlement, one that protected much of the municipality’s authority and autonomy while recognizing the bailliage‘s claims to jurisdiction over nobles, a jurisdiction that the nobles themselves may have wanted as a mark of their elevated status. Of course, it took thirty years for the conflict to be resolved. Moreover, at least five years passed before Condé could finally broker a settlement. 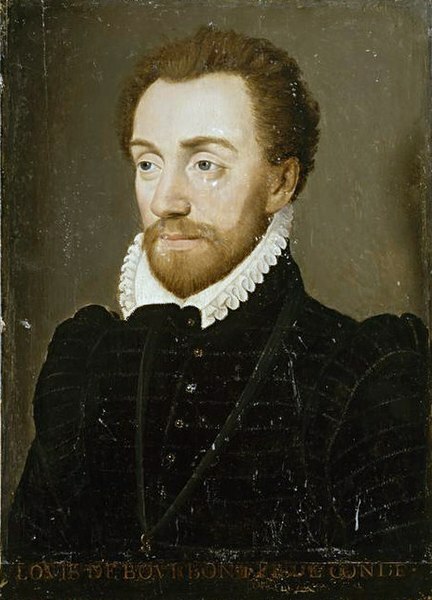 Certainly, the First Prince of the Blood and royal governor of Burgundy, a close ally of Richelieu and one of the most powerful men in France could have imposed a resolution on this dispute much earlier had he been inclined to do so. But he did not, and this fact is revealing when it comes to understanding how the Old Regime state actually operated at the local level. National figures and great patrons like the Prince of Condé, after all, were busy men and likely not too concerned with petty jurisdictional squabbles over seals, wills, and judicial sales, no matter how important these disputes seemed to the parties themselves. Powerful patrons were not likely to spend much time, effort, or credit trying to resolve such matters. Rather than force a solution, all they could, or would, do was to bring the parties together to work out a compromise that both could live with. The terms of these compromises were defined and dictated by what both sides understood to be the legal concepts, principles, and norms that applied to the case at hand. The role of law in politics and governance, in short, looks much like the role of the law in civil and criminal cases studied by legal historians and legal anthropologists over the past several decades. Law was part of a larger system of dispute resolution whose boundaries and tactics were well understood and widely utilized by all parties. The “rule of law” in the Weberian sense of an impersonal, normative, and abstract system of regulations and authorities did not exist in early modern France. Yet the “rule of law” did exist. Without it, processes of negotiation, arbitration, mediation, and other informal mechanisms of dispute resolution could not function effectively. Law provided the frame of reference, the structure, and the aura of legitimacy needed to enable political rivals to settle the constant quarrels and jurisdictional conflicts that marked the workings of the Old Regime state. The law’s “brooding presence” was very real to political actors in early modern France, as it should be in our histories of politics and the state during this period. David A. Bell, “The ‘Public Sphere,’ the State and the World of the Law in Eighteenth-Century France,” French Historical Studies 17:4 (1992): 933. This was perhaps best expressed by the oft-cited Roman Law principle digna vox maiestate regnantis legis alligatum se principem profiteri. (“It is a statement worthy of the ruler’s majesty for the Prince to profess himself bound by the laws.”) Codex 1.14(17). 4. For a further discussion, see Kenneth Pennington, The Prince and the Law, 1200-1600: Sovereignty and Rights in the Western Legal Tradition (Berkeley: University of California Press, 1993), 78-83. Jean Bodin, The Six Books of a Commonweale, ed. Kenneth Douglas McRae, trans. Richard Knolles (New York: Cambridge University Press, 1962), 4:6; and David Parker, “Law, Society and the State in the Thought of Jean Bodin,” History of Political Thought 2 (1981): 273-5. Keith Michael Baker, Inventing the French Revolution: Essays on French Political Culture in the Eighteenth Century (New York: Cambridge University Press, 1990), 4-5. David Parker, La Rochelle and the French Monarchy: Conflict and Order in Seventeenth-Century France (London: Royal Historical Society, 1980), 19. David Parker, “Sovereignty, Absolutism and the Function of the Law in Seventeenth-Century France,” Past and Present 122 (1989): 36-74. Studies of criminal justice have dominated work on early modern law courts and justice. Some examples include Richard Mowery Andrews, Law, Magistracy and Crime in Old Regime Paris, 1735-1789 (New York: Cambridge University Press, 1994); Alfred Soman, Sorcellerie et justice criminelle: le parlement de Paris, XVIe-XVIIIe siècles (Brookfield, VT: Variorum, 1992); Malcolm R. Greenshields, An Economy of Violence: Crime and Justice in the Haute-Auvergne, 1587-1664 (University Park: Pennsylvania State University Press, 1994); Steven Reinhardt, Justice in the Sarladais, 1770-1790 (Baton Rouge: Louisiana State University Press, 1991); and Christiane Plessix-Buisset, Le Criminel devant ses juges en Bretagne au XVIe et XVIIe siècles (Paris: Maloine, 1988). James R. Farr has recently traced the workings of a noted case in seventeenth-century Dijon, exploring both the legal and extra-legal maneuvering that surrounded the so-called “Giroux affair.” See A Tale of Two Murders: Passion and Power in Seventeenth-Century France (Durham: Duke University Press, 2005). Recently, scholars have begun to explore the workings of civil courts, which accounted for the vast majority of cases under the Old Regime. Some examples include Julie Hardwick, “Women ‘Working’ the Law: Gender, Authority and Legal Process in Early Modern France,” Journal of Women’s History 9 (1997): 28-49; idem., “Seeking Separations: Gender, Marriages and Household Economies in Early Modern France,” French Historical Studies 31 (1998): 157-80; Jeremy Hayhoe, “Illegitimacy, Inter-Generational Conflict and Legal Practice in Eighteenth-Century Northern Burgundy,” Journal of Social History 38 (2005): 673-84; and Zoë A. Schneider, “The Village and the State: Justice and the Local Courts in Normandy, 1670-1740” (Ph.D. diss., Georgetown University, 1997). For a more general overview, see Arlette Lebigre, La Justice du roi: La vie judiciaire dans l’ancienne France (Paris: Albin Michel, 1988). David A. Bell, Lawyers and Citizens: The Making of a Political Elite in Old Regime France (New York: Oxford University Press, 1994); Sarah Maza, Private Lives and Public Affairs: The Causes Célèbres of Prerevolutionary France (Berkeley: University of California Press, 1993); David Parker, Class and State in Ancien Régime France: The Road to Modernity? (New York: Routledge, 1996); Sarah Hanley, “Social Sites of Political Practice: Lawsuits, Civil Rights and the Separation of Powers in Domestic and State Government, 1500-1800,” American Historical Review, 102 (1997): 27-52; idem., “The Jurisprudence of the Arrêts: Marital Union, Civil Society and State Formation in France, 1550-1650,” Law and History Review 21 (2003): 1-40; and Hilary Bernstein, Between Crown and Community: Politics and Civic Culture in Sixteenth-Century Poitiers (Ithaca: Cornell University Press 2004). Beik, Absolutism and Society in Seventeenth-Century France: State Power and Provincial Aristocracy in Languedoc (New York: Cambridge University Press, 1985); Sharon Kettering, Patrons, Brokers and Clients in Seventeenth-Century France (New York: Oxford University Press, 1986); Katia Béguin, Les Princes de Condé: rebelles, courtisans et mécènes dans la France du Grand Siècle (Seyssel: Champ Vallon, 1999); Jay M. Smith, The Culture of Merit: Nobility, Royal Service, and the Making of Absolute Monarchy in France, 1600-1789 (Ann Arbor: University of Michigan Press, 1996); Sara E. Chapman, Private Ambition and Political Alliances: The Phélypeaux de Pontchartrain Family and Louis XIV’s Government, 1650-1715 (Rochester: University of Rochester Press, 2004); Robert Descimon, “Power Elites and the Prince: The State as Enterprise,” in Power Elites and State Building, ed. Wolfgang Reinhard (New York: Oxford University Press, 1996), 100-21. Among those who consider the interplay between law and patronage are David Parker and James B. Collins. On Parker, see below, note 11. Collins sees “law,” which he defines primarily in terms of the monarch’s unfettered right to promulgate positive law, as an instrument of royal power. He distinguishes this from “custom” or “contractual agreements” that served as guarantees against arbitrary behavior by the king and his officials. See Classes, Estates and Order in Early Modern Brittany (New York: Cambridge University Press, 1994), 24-5. Old Regime legal thinkers, however, considered “custom” to be a basic component of the law. For this reason, I do not follow Collins’s distinction here, but rather see custom and positive law as two elements of the larger network of institutions, procedures, principles, and texts that comprised the “law” in early modern France. Jay M. Smith; Michael Kwass, Privilege and the Politics of Taxation in Eighteenth-Century France: Liberté, Egalité, Fiscalité (New York: Cambridge University Press, 2000); David Kammerling Smith, “Structuring Politics in Early Eighteenth-Century France: The Political Innovations of the French Council of Commerce,” Journal of Modern History 74 (2002): 490-537; and Beth Nachison, “Provincial Government in the Ancien Régime: The Princes of Condé in Burgundy, 1660-1730 (Ph.D. diss., University of Iowa, 1992). 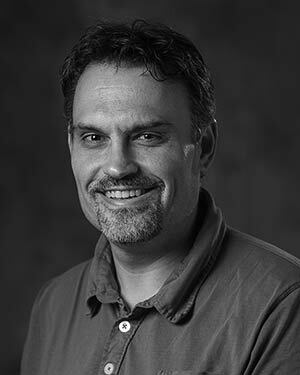 One exception is Parker, who has described the legal system as “a mechanism for the mediation and resolution” of “factional, patrimonial, and corporate” conflicts between families and clans who had purchased their positions in the state’s administrative system. See Class and State, 184-6. Even so, I would argue, Parker errs in construing the political role of the law so narrowly and limiting it to families and other groups located near the center of the state. Max Weber, The Theory of Social and Economic Organization, ed. Talcott Parsons, trans. A. M. Henderson (New York: Free Press, 1947), 330. Beik, 225; and Parker, “Sovereignty,” 43-7. W. R. Scott defines legitimacy as “a condition reflecting perceived consonance with relevant rules and laws, normative support, or alignment with cultural-cognitive frameworks:” Institutions and Organizations, 2nd ed. (Thousand Oaks, CA: Sage, 2000), 59. Gabriel Davot, Traités sur diverses matières de droit françois à l’usage du Duché de Bourgogne & des autres Pays qui ressortissent au Parlement de Dijon . . . avec des notes de Me. Jean Bannelier, ancien bâtonnier des Avocats du Parlement et Doyen de la même Université, 3 vols. (Dijon: Vve J. Sirot, 1751), 1:1-3. Thomas Kuehn, Law, Family and Women: Toward a Legal Anthropology of Renaissance Italy (Chicago: University of Chicago Press, 1991), 122-6, 190-3; and Roberto Bizzocchi, “Church, Religion and the State in the Early Modern Period,” in The Origins of the State in Italy, 1300-1600, ed. Julius Kirshner (Chicago: University of Chicago Press, 1995), 159. On problems of legal interpretation during this period, see Ian Maclean, Interpretation and Meaning in the Renaissance: The Case of Law (New York: Cambridge University Press, 1992). Ibid., 9-10; and Pierre Bourdieu, “La Force du droit: éléments pour une sociologie du champ juridique,” Actes de la recherche en sciences sociales 64 (1986): 3-19. J. A. Crook, Legal Advocacy in the Roman World (Ithaca: Cornell University Press, 1995), 5. J. B. White cited in Ibid., 26. Alexis de Tocqueville, The Old Regime and the Revolution, eds. François Furet and Françoise Mélonio, trans. Alan S. Kahan (Chicago: University of Chicago Press, 1998), 176-7. Simon Roberts, “The Study of Dispute: Anthropological Perspectives,” in Disputes and Settlements: Law and Human Relations in the West, ed. John Bossy (New York: Cambridge University Press, 1983), 1-24; Sally Falk Moore, Law as Process: An Anthropological Approach (Boston: Routledge and K. Paul, 1978); idem., “Certainties Undone: Fifty Turbulent Years of Legal Anthropology, 1949-1999,” Journal of the Royal Anthropological Institute 7:1 (2001): 95-116; Jacek Kurczewski, “Dispute and its Settlement,” in Disputes and the Law, eds. Maureen Cain and Kálmán Kulcsár (Budapest: Akadémiai Kiadó, 1983), 223-45; Reinhardt, chs. 3-5;and Kuehn, 19-100. Charles Bertucat, La Jurisdiction municipale de Dijon: son étendue (Dijon: J. Nourry, 1911), 99. Archives municipals de Dijon [hereafter AMD] B264, 289r (15 June 1627); B266, 33r (27 June 1628); B275, 53r-v (21 July 1637); and B80, 179r (12 Dec. 1642). AMD B275, 53r-v, deliberation of 21 July 1637. AMD B280, 179r, deliberation of 12 Dec. 1642. AMD B281, 197r, 267r, 273v, 291v, and 297r. Orest Ranum, Paris in the Age of Absolutism: An Essay (New York: Wiley, 1968), 30. Originally published by the Journal of the Western Society for French History 33 (2005) under the terms of a Creative Commons Attribution-NonCommercial-NoDerivs 3.0 Unported license. This entry was posted in Uncategorized and tagged Early Modern, France, French, History, Law. Bookmark the permalink.